After four great races to start off the 2018 campaign, the OSCAAR Hot Rod Series drivers will return to Sunset Speedway on Sunday, July 1. 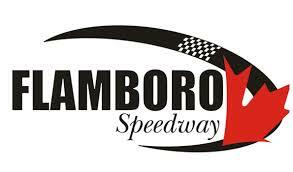 It will mark the fourth time the Hot Rods have raced at Sunset Speedway, following their inaugural appearance at the Velocity 250 last September. Both of those races during that weekend were won by Dan Archibald. Though in the pair of events this year, it has been Tyler Hawn picking up the checkered flag. Following each of the races, regardless of the winner, many fans left the speedway were talking about the battle for the podium spots between the three, as they managed to race side-by-side for multiple laps, door handle to door handle, without a single fender touch. Hawn will be hoping to go three Sunset Speedway races in a row, building upon the two previous victories and pair of third-place finishes. he enters this weekend with momentum after picking up the checkered flag at Jukasa. The 2018 season marks the first year of OSCAAR competition for Alderson Jr., and he certainly has shown speed at Sunset Speedway with a runner-up and fourth. Combining all four OSCAAR events thus far, he has yet to place outside of the top-six. Since joining the fray, Archibald has been a man to watch. With four wins and no finishes outside off the podium in six career starts, you have to know he’ll be someone to watch this weekend. Douglas Fischer hopes that his trend of continued improvement in each event pays off. He has scored seven straight top-seven finishes, including three consecutive top-fives. His best finish at Sunset was in his most recent appearance, placing fifth in May. Nick Clarke will hope to repeat or better his father Bill Clarke’s fifth from April this weekend after running into mechanical issues at Jukasa a couple weekends ago. Dan Price will hope to improve upon his ninth-place finish in May at Sunset. He was solid at Sunset Speedway last year, though, with a pair of fifths. Price’s teammate Derek Henderson will also be looking to do the same, following an 11th-place finish in the season opener. So far, he has no finishes outside of the top-eight since. Lance Foster hopes to have the same speed that allowed him to challenge for a win in his OSCAAR Hot Rod debut in September 2017. The team knows they’re close following top-fives in their last two OSCAAR appearances. Another driver to watch will be Jeremy McLean, following an eighth in each of his previous Sunset starts. Art Rodgers hopes his trip to Sunset Speedway goes better this time around, as a blown motor sidelined him practice earlier this month. Steve Book may have finished seventh in the first two races of the season – both at Sunset Speedway, but has since scored a pair of fifths and will look to improve upon that this weekend. Jerry Broom has gotten better with each of his OSCAAR starts this season, scoring a season-best sixth a couple weeks ago at Jukasa. Steve Mayhew will enter this weekend with momentum on his side following an OSCAAR career-best third-place finish at Jukasa. This will mark his first appearance with the Hot Rods at Sunset. The McNicol team challenged for the win at Sunset Speedway last year, and hopes to use the momentum from an eighth in their first appearance of 2018 to do so once again. Paul Senior is set to make his OSCAAR Hot Rod Series debut after shaking down his ride at Peterborough Speedway. The OSCAAR Hot Rods will be racing at Sunset Speedway alongside the OSCAAR Modifieds, OSCAAR Pro Sprints, and Ontario Outlaw Super Late Models. Full details and pre-sale tickets can be found at http://www.sunsetspeedway.ca.